tscollectionss has no other items for sale. 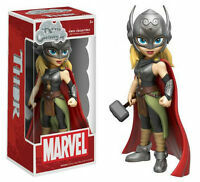 FUNKO Rock Candy - Thor: Ragnarok "VALKYRIE"
We do not ship to P O Boxes, so please provide a address without a P O Box. If you can not please contact us. We only ship to a verified paypal address and we use the global shipping program only.